Why Does The Tapping Solution Create Weight Loss Results? Is It Time to Finally Transform Your Body and Mind? Despite trying numerous diets and exercising on a daily basis, some women are unable to get the body they want. You can do everything right. You can follow every order from your doctor. You can eat all the right foods and still hit a weight loss plateau. That can be discouraging. You might think there is something wrong with you. You may even think that you will never lose the weight. Thankfully, there is a way to get the body you want without starving yourself or running endless miles. The best part is this: it may only require one simple change for you to achieve your weight goals. There are some common reasons why you might be struggling with your weight right now, even if you are doing everything right. #1. You have a hormone imbalance. There are several symptoms you may have that indicate you have a hormone imbalance happening. If you feel tired all of the time, your body feels cold often, or if you suffer from PMS frequently, then you may wish to speak with your doctor. Feeling anxious, nervous, or depressed can be symptoms of a hormone issue as well. #2. You are exercising the wrong way. To be clear, any kind of exercise is good for you. From a weight loss perspective, there are certain types of exercise that do not promote weight loss very well. Taking a slow walk around your neighborhood, for example, will not promote much weight loss. Try to incorporate more activities which cause you to sweat. Do some weight training. The goal here is to raise your metabolism. #3. You have a digestion issue. If your digestive tract struggles to absorb the nutrients your body requires, then it may convert more food resources to fat. Talk to your doctor if you experience frequent heartburn, have issues with constipation or diarrhea, or you feel lethargic most of the time. Restoring healthy digestion may be the key to finally reaching the body weight you want. #4. You have a sedentary job. If you sit long hours through the day, every day, for work, then your metabolism is going to be artificially slow. You need to move your body around to keep your metabolism up. Try to take a 5-minute walk at least once per hour. If you cannot move from your desk, invest into an under-desk bicycle or some other form of exercise you can do while sitting. That will give you more energy, which encourages you to follow more weight loss opportunities. #5. You have a Vitamin D deficiency. If you’re not getting enough sunshine every day, then you will affect your metabolic processes. Even if you consume foods with vitamin supplements, you may not be getting enough Vitamin D. Have your levels checked by your doctor to exclude this issue. Don’t start taking a supplement on your own because too much Vitamin D can be bad for you in other ways. #6. You are not eating a balanced diet. For the average meal, you should have 50% of your food be fruits and vegetables. Then 25% should be carbohydrates and the other 25% should be protein. For many households, the structure of a meal is closer to 50% protein, 35% carbohydrates, 10% fruits and vegetables, and 5% sugars and oils. Take 2 weeks and add more vegetables to each meal, including breakfast. Then see how your weight loss efforts are going. #7. You are not getting enough sleep. The average person requires about 7 to 9 hours of sleep every night. Some may even need a little more. If you’re not getting enough sleep, then your body is unable to repair itself overnight fully. You will experience higher levels of cortisol, which is the stress hormone. That leads to higher levels of irritability, poor eating choices, and high blood pressure – all of which contribute to weight gain instead of weight loss. #8. You don’t chew your food enough. Your body processes liquid foods more efficiently than solid foods. If you are not chewing your food enough, you could be contributing to your weight issues without even realizing it. Try being thorough with your chewing to see if you get results. You might consider a shift toward shakes or other liquid foods as well. #9. You are trying too many different approaches. Weight loss tends to be cyclical when multiple dietary approaches are used. The ultimate goal of dieting is to create a caloric deficit between what your body needs to maintain its weight and what you actually eat. To lose one pound per week, the average person requires a deficit of 500 calories per day. It is important to be conscious about the state of your health, not just the state of your diet. Choose one approach and be specific about your food choices. #10. You eat at restaurants too often. If you eat at a restaurant, the meals you choose pack a lot of extra calories that you might not realize. Even a simple lunch could hit you with more than 1,000 calories. Try eating at home more, cooking foods with minimal oils and salt, to see how it might affect your weight. Don’t trust a smoothie at a restaurant either. Some of those can be over 500 calories on their own and give you a full day’s worth of sugar too. #11. You are avoiding too many fatty foods. When you want to lose weight, it seems counterintuitive to consume foods that have fat in them. 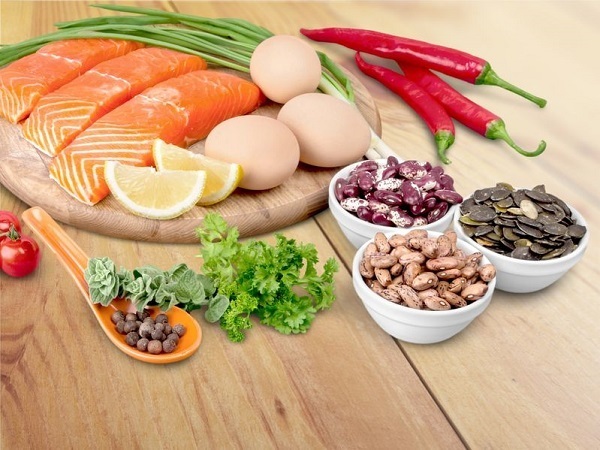 It is important to remember that there are good fats to be eating and bad fats to eat. The foods you’ll want to eat to support a healthy diet include dark chocolate, fatty fish, olive oil, avocados, and low-fat cheese. Remember to eat these foods in their correct proportions to maximize the benefits they can provide. #12. Your liver is struggling. If your diet contains alcohol, sugar, or coffee, then your liver might need to take a break. Those three elements create fatigue within your liver, which can reduce the amount of toxins it can remove. This issue may also contribute to an imbalance of hormones, creating multiple fronts where weight gain is possible. Before doing a liver cleanse or trying a detox method, be sure to speak with your doctor about which options may be right for you. #13. You are building muscle. If you are exercising regularly and keeping to a healthy nutritional plan, there’s a good chance that you are building some muscle. Your muscle gains weigh more than fat cells. Even though you may have areas that are being stubborn about fat loss, keep doing what you are doing if this is your issue. Your body won’t mind supporting more muscle weight and the fat issues you see will reduce over time. #14. You avoid feelings of hunger. Feeling hungry is not a pleasant experience. To get around this issue, you’ll find numerous diets offering to help you lose weight without feeling hungry all the time. If you experience hunger, however, it can encourage you to maintain your current weight – or even lose some. When you eat to avoid feelings of hunger, what you are doing is eating to provide yourself with comfort. This action leads to a higher daily calorie count over time without you even realizing it. Your body cannot use the fat energy it has stored if supplied with a constant food resource. That is why it is essential to listen to what your body is telling you. Are you really hungry? Or are you trying to cope with a feeling you don’t want to experience? #15. You eat in a chaotic environment. Mindful eating helps you be able to lose weight because it changes your eating behaviors. Instead of being surrounded by chaos, you are focused on each bite of your food. Two common distractions that occur during meals in many homes are television watching and phone usage. When your attention is distracted, you’re not listening to your body anymore. It might say that you’re full, but you might keep eating because the TV show isn’t over yet. If you live by yourself, try eating with some favorite music in the background instead. The music will help to fill the silence, provide an environment for mindfulness, and keep distractions to a minimum. For those who live with roommates or their family, try making meals a community event whenever possible. Check-in with each other about the day. Enjoy being in the company of one another. Both options will help you be able to relax and reduce stress levels from the day. #16. You’re taking too many antacids. A combination of stomach acid and bile helps the body break down fat for energy. Your stomach acid helps your pancreas and liver do their work of breaking down nutrients for absorption. If your stomach acid levels are too low, this makes it more difficult for your body to digest food properly. In this situation, your stomach muscles begin to process the food for you instead. This process causes what acid there is to push up into your esophagus, creating heartburn. Then you take antacids or proton pump inhibitors to reduce stomach acid further. If you struggle with heartburn, it may be helpful to add some foods to your diet. Many vegetables are low in sugars and fat, such as broccoli, cauliflower, dark leafy greens, and asparagus. Ginger, oatmeal, non-citrus fruits, egg whites, and avocados are all good eating options too. You also have trigger foods which cause your heartburn symptoms in the first place. Everyone has their food triggers, so no diet plan is 100% effective at the prevention of all symptoms. Keep a food diary to list your symptoms, when they occur, and what foods caused the trigger to begin avoiding them in the future. #17. There are high levels of inflammation in your body. Certain foods create ongoing inflammation inside your body. This response occurs when your immune system activates because of the foods you consume. Over time, chronic inflammation can trigger cancers, cardiovascular problems, and neurological issues. Internal inflammation is linked to allergies, asthma, arthritis, digestive disorders, and skin conditions. When chronic inflammation is present, the hormones which tell your brain that you are not hungry become less responsive. You may feel hungry even when you are not with this health condition. To rectify this issue, the best place to start is to eliminate foods that trigger inflammation in the body. You may also need to speak with your doctor about a treatment plan to heal your stomach lining and digestive tract. #18. There may be an unaddressed thyroid issue. In the United States, about 10% of the population is dealing with a thyroid problem. An estimated 60% of people with thyroid issues are not aware of their condition. If your thyroid gland does not produce enough hormones, then one of the primary symptoms is unexplained weight gain. People who are dealing with a thyroid issue also find it a struggle to lose weight. If your weight gain was rapid, or if you’ve been trying to lose weight unsuccessfully for more than a year, then a visit to the doctor may be useful. Through a series of tests, a health checkup will help you discover if there is an underlying medical issue which is not allowing you to keep the weight off. #19. You may have an insulin imbalance. If you experience food cravings for carbohydrates, combined with excess body fat around the abdomen, then you may be experiencing an insulin imbalance. When your body has a resistance to insulin, your cells are unable to take care of the glucose in your blood correctly. That glucose then changes to fat because of the work the liver does. If your diet is rich in processed foods, pasta, sugary drinks, and high-sugar foods, then these lifestyle factors may be contributing to your current situation. They can also lead you down a path toward prediabetes, Type 2 diabetes, and other health issues. #20. You may have an estrogen imbalance. If you have too much estrogen compared to your progesterone levels, then weight gain is a common outcome. Having too much estrogen may increase food cravings and decrease your metabolism simultaneously, which makes it difficult to lose weight. For women who have food cravings which involve sugar most often, this may be an issue worth looking at. Only your doctor can diagnose if you may have estrogen dominance. #21. You are taking a prescription medication. There are several prescription medications which are known to cause weight gain as a side effect. Tricyclic antidepressants, SSRIs, and lithium are all known to have this side effect. Certain anti-seizure and anti-convulsant medications, like valproic acid and carbamazepine, will cause weight gain. Nerve pain medications, such as gabapentin, are known to cause this effect too. Even certain oral corticosteroids, such as over-the-counter NSAIDs, may cause weight gain in some people. If you take medication for allergies, such as diphenhydramine, this may trigger hunger cravings in some individuals. Certain inhalers, ACE inhibitors, and anti-psychotics like clozapine have this side effect listed as well. If you’re taking one of these medications and struggling with your weight, then talk to your doctor about the dosage you take. There may be alternative medications to try or lifestyle changes that could be made to help you achieve the benefits of the medicine without the added weight gain. 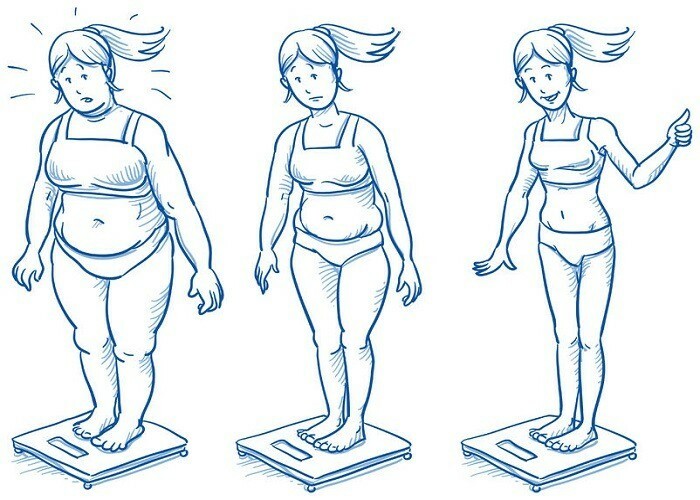 For many women, the primary reason why weight loss isn’t happening is because there is too much stress in their lives. When something stressful happens, then your body releases cortisol. This hormone, when it combines with adrenaline, works to shut down the creative sections of your brain. It becomes more difficult to solve problems. Even thinking about a stressful situation is enough for your brain to begin increasing cortisol production. Your digestive tract begins to slow down. That means your metabolism starts to slow down. When this occurs, you can eat the same foods you have always eaten and begin to gain weight. Slower digestion also makes it more difficult to lose weight. Cortisol also causes your blood vessels to constrict. This creates higher blood pressure levels, which your brain recognizes and wishes to correct. The end result is often a food craving, slower mental reactions, and higher levels of fatigue. When you feel tired and you have high levels of stress, what happens? For many people (not just women), they decide to sit. They find a comfortable place to relax, find something to entertain themselves, and let the day slip away. That encourages weight gain instead of weight loss as well. This cycle happens to everyone. We’ve all eaten a package of cookies or a carton of ice cream without really realizing what was happening. If it happens occasionally, then you should be able to adapt to the change in calories over the course of a week and even things out. When it happens frequently, then the process of eating is serving as a coping mechanism. It makes you feel good, which reduces the side effects of cortisol. You feel better. Then your waistline grows, so you feel worse. Then you eat something again to feel better. Then you feel worse still. It is a terrible cycle that is difficult to break. The first step toward losing weight for real is to be accountable for what you choose to eat. Start keeping track of everything that you eat. Most people do not realize how much food they actually consume each day. Register every snack you have, the calories each food contains, and don’t forget about your beverages. If you are drinking sugary beverages or energy drinks, then stop. One 12-ounce can of soda contains 140+ calories. In a 16-ounce energy drink, you might consume 250 calories. The second step is to make sure you’re eating a healthy breakfast each morning. Eat a lot of protein during breakfast instead of cereals. In a pinch, oatmeal with some fruit is a good compromise. Eating more protein will reduce food cravings throughout the day, which will stop the unconscious snacking that sometimes happens. Then consider these additional options. Start eating more whole foods. The quality of food you eat is just as important as the quantity you are eating. Avoid processed foods whenever possible. Do not go to fast food places unless absolutely necessary. Eating whole foods will naturally reduce calorie counts and boost your nutritional profile. Try to eat fewer calories. Many people struggle to lose weight because they are overeating. As people age, their caloric requirements begin to change. Get a feel for what you should be eating, then try to stick to it for at least a month. If you see some progress with your weight loss goals, then stick to it. Exercise better. Did you know that you can exercise too much? If you exercise in the same way every day, then switch things up. Do some hot Yoga. Find a local Pilates class. Work with a personal trainer. When you incorporate a variety of workout techniques, it may encourage metabolism rates to stay higher. Avoid the urge to binge-eat. This might be the most common issue that men and women face when trying to lose weight. When you diet, the body feels the deficiency. It craves what it is lacking. After resisting for a few days, you get to a spot where you just can’t stop eating. One binge can ruin an entire week’s worth of work, so find ways to avoid this urge whenever possible. Get rid of sugary beverages. You got rid of the soda. You got rid of the energy drinks. Maybe you even got rid of the coffee creamer. What about fruit juice? The average fruit juice has just as much sugar, if not more, than your favorite cola beverages. Get into a bedtime routine. Allow yourself a 60-minute window to prepare for bed. Turn off all electronics during this time. If you need to use your phone, have the night-shift screens activated. Then give yourself a dark space to relax. Poor sleep is one of the biggest risk factors for obesity in adults. Poor sleep can happen for a number of reasons, from sleep apnea to caffeine consumption. You’re up to 90% more likely to weigh more than you’d like if you don’t sleep well frequently. If you consistently struggle with sleep, you may wish to have a sleep study done to see if there is a medical issue involved. Cut down on carbohydrates. A low-carb diet can be helpful if you have a lot of weight to lose. It can also be beneficial for women who are dealing with metabolic issues. You can lose up to 3 times more weight with a low-carb diet than a low-fat diet in these circumstances. Now that we’ve taken a look at some solutions that might help you to lose some weight, let’s go back to the issue of stress. Since 2016, stress has been a major issue for people around the world. It is ​exceptionally high in the United States. Here are some facts about stress in the U.S. which are offered by the American Psychological Association. 59% of Americans believe their country is at its lowest point in its history. 43% of Americans say that their biggest cause of stress is the state of their health care. 1 in 4 Americans say that taxes are a source of stress. Stress is a shared view across all generations. Every American generation has stress levels at a rate of 57% or higher. Although the sources of stress may be different, a majority of people struggle with anxiety every day. The same is true for people around the world. Although what triggers stress in Europe is different than what triggers stress in the United States, more people are dealing with high levels of stress than are not. 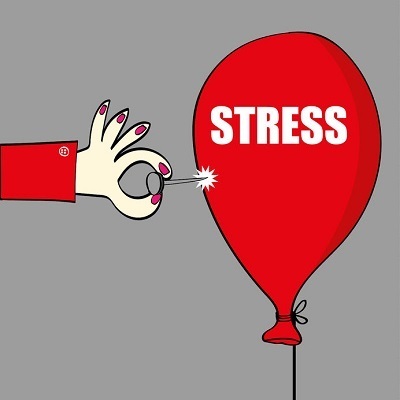 What would happen if you could work on getting rid of your personal stress? Would it help you to feel more relaxed every day? Would it give you more energy? Could it help you to lose weight? That is why The Tapping Solution is such an exciting component of recent weight loss trends. 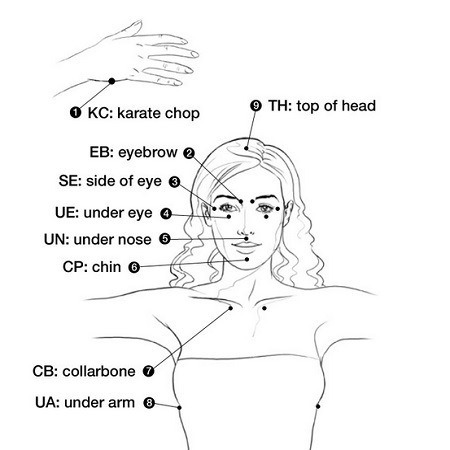 By using EFT tapping processes [e.g. by working with an EFT instructor, by using tapping scripts for weight loss and proper tapping affirmations] you can create specific results over time that help you to take charge of your physical and emotional wellness. Here is how EFT it works. Your body is composed of energy. By restoring balance to your energy, it becomes possible to begin reversing the harmful physical and emotional symptoms that are so bothersome. Using a basic EFT tapping technique goes something like this. Take a memory, an emotion, or something about yourself that bothers you. Focus your energy on this negative issue. While maintaining your focus on this negative energy, use your fingertips to tap on the 9 meridian points found on the body. This tapping allows you to access the energy potential contained within your body. Step #3: Repeat 5-7 times. You will want to tap on these meridian points 5-7 times to get the best results possible from each tapping session. The basic technique is something that you can try at home. You can even try it right now using this chart of the 9 tapping points. Spend 5 minutes tapping these points. See how you feel afterwards. Now we’ve talked a lot about how there are things you might be eating or lifestyle choices you might be making that could be impacting your weight. These are elements that are important to address because it may impact your health. With EFT tapping, the focus is on restoring yourself to a complete person. When you feel complete, there is no longer a need to find coping mechanisms, like food, to create positive feelings. You become a source of positivity instead. ​Many negative emotions can get “stuck,” or become part of a daily routine, without really thinking about it. Maybe you offer yourself a lot of self-criticism, especially when you catch your reflection in the mirror. Perhaps you get angry with yourself if you decide to eat something that you might feel goes against the diet you are on. You might offer yourself excuses about why you aren’t losing weight. When you apply the tapping process as part of your weight loss journey, you change your focus. You are no longer worried about your self-doubt, personal anger, or the right excuse. You focus on doing the tapping. All the other stuff that gets stuck inside your head begins to disappear. You begin to feel like you again. Before going on, it must be said that any weight loss plan creates different results for different people. The 7-week weight loss and body confidence program from The Tapping Solution is no exception to this. What is different about this program is that the focus is not on diet and exercise. The focus is on restoration. 80% of women look into the mirror every day and feel dissatisfied by what they see. Over half of women see a distorted image of themselves. It’s easy to see why this happens. In the media, and to some extent our society, there is a lot of pressure put on the average woman. You’re asked to be thin. You’re told to be beautiful. Then you are presented with these images of beauty that are nearly impossible to achieve. For most women, the pressure to be thin and beautiful eventually causes them to take a different approach to their bodies. They try to diet or start exercising more. TSM Agency put together a fascinating look at how the general population compared to models. 28% of female models have blonde hair, even though just 2% of the world’s population shares this hair color. Black hair is the most common color in the world. Only 18% of models actually have black hair. 59% of female models weigh between 101-125 pounds, which is within the CDC classification for a healthy weight. The average model, however, weighs 23% less than the average woman. There is an age discrepancy as well. 61% of models are between the ages of 18-32. The fashion industry also requires a height above 5’8” for most women. If you’re shorter or older than those standards, then it naturally creates feelings of inferiority. Now here’s a dose of reality. Less than 5% of women today can achieve the ideal size and weight that is presented as being ideal by society today. When you add in all the other elements, such as face shape, body shape, height, hair color, eye color, and all those other features, just 1% of women have a chance – just a chance – to meet those standards. For many women, the pressures placed upon them are unrealistic expectations. That doesn’t stop many from trying to reach those “standards” anyway. When success is difficult to find, discouragement is certain to follow, regardless of how a woman actually looks. Since 1960, obesity rates have tripled in the United States and doubled in many other places around the world. There are many contributing factors to this, of which we must have some level of accountability. We must also acknowledge the silent issue in the room. Every woman is beautiful. She doesn’t need to be photoshopped. She doesn’t need to meet some impossible standard set for her by others. She simply needs to be comfortable with herself. That is what The Tapping Solution works to provide. If you’re thinking about weight loss and looking at the benefits of EFT tapping, then here is what you can expect from The Tapping Solution and their program for weight loss and body confidence. There are three primary weekly components to the program. Each week, a webinar presentation is released, providing you with step-by-step guidance over the content being covered. 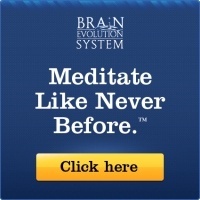 After each webinar a 10- to 15-minute daily tapping meditation is provided. The webinar and tapping meditation program are hosted by Jessica Ortner, who has twice hosted the Tapping World Summits. You will get to use the daily tapping meditation every day during the week to turn the lessons from the webinar into practical action. Action audios are presented each week as well. During the audio session, you will tap along as issues that are specific to each weekly challenge are presented. Many of the questions women have about EFT tapping, self-confidence, and weight loss are addressed here. As part of the program, you will also be given a workbook which contains exercises that are optional. If you’re ambitious, you may find that including the exercises with your daily tapping sessions can lead to powerful results. You will also gain access to the group forum, which provides encouragement and accountability for the health goals you have set for yourself. This entire process is designed to last for 7 weeks. If you’re not satisfied with the results, then the program offers a 90-day, 100% satisfaction guarantee. You get your money back and you keep the bonuses. The average woman goes on 4-5 diets every year. How many have you tried so far this year? 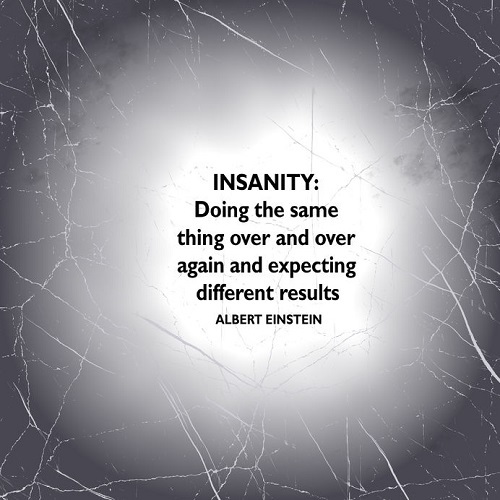 If you keep doing the same things you’ve always been doing, then you are going to keep getting the same results. Being frustrated about your weight is natural. It is a feeling shared by millions of other women. Now is the time to do something different about it. That is what The Tapping Solution provides with their 7-week course. More than 10,000 women have completed the course so far. And if you're wondering whether EFT works for weight loss, then just have a look at their reviews, which are fully available for you to read.